Ships today if you order in the next 15 hours 26 minutes. 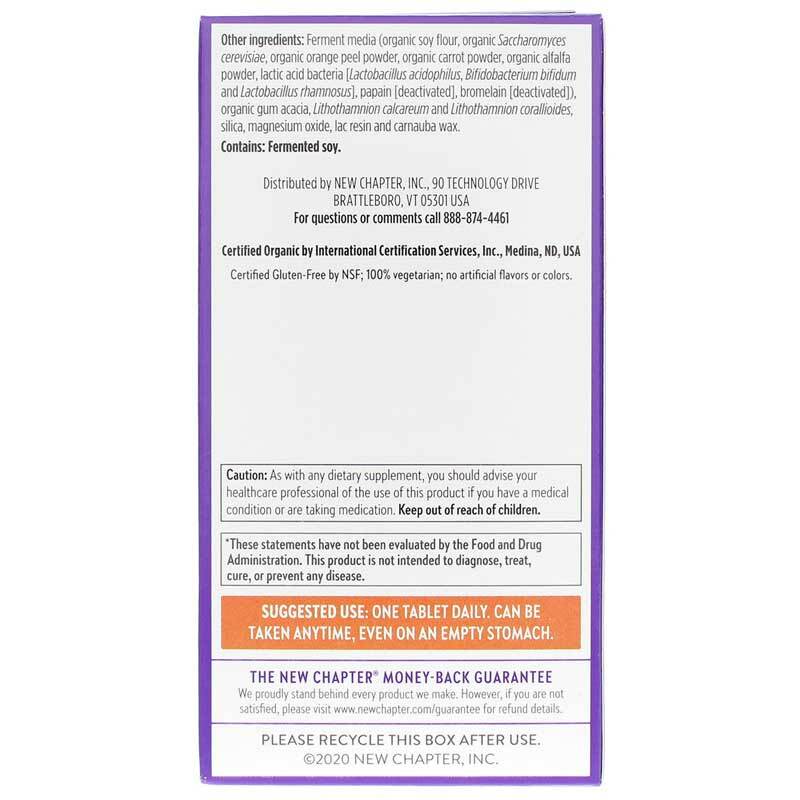 Every Man's One Daily Multi from New Chapter is a cultured, whole-food complexed multivitamin designed to support the nutrient needs of active men under age 40. Includes herbal blends that target stress and support heart, energy and immune health. Take just one easy-to-digest tablet per day! Men, especially active men, under the age of 40 have specific nutrient needs that may not be met by the average multivitamin. 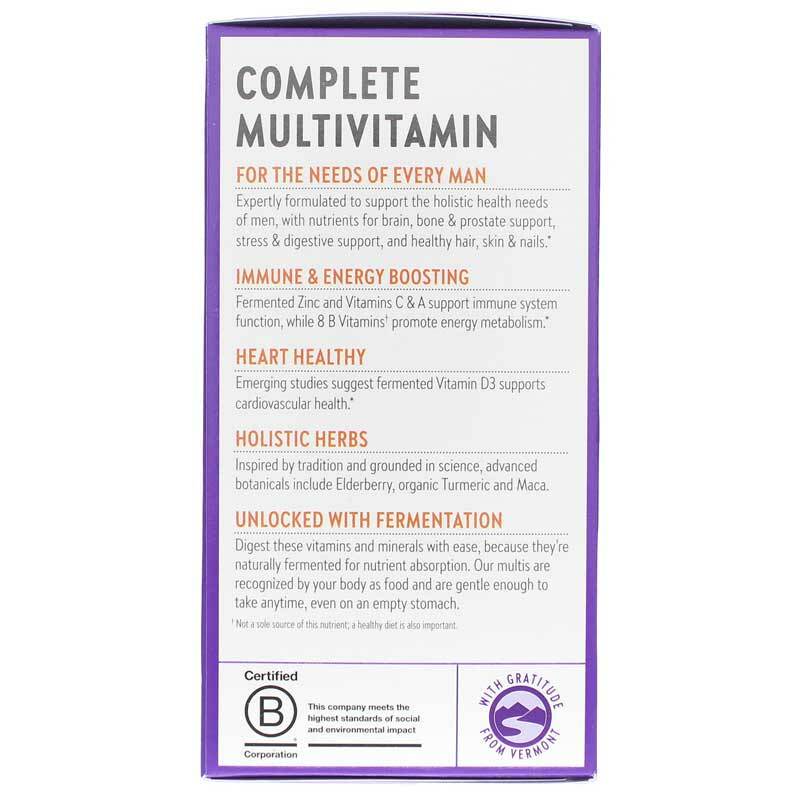 This whole-food complexed multi is made with whole-food cultured vitamins, minerals, herbs and probiotics which the body may utilize more readily, like food. 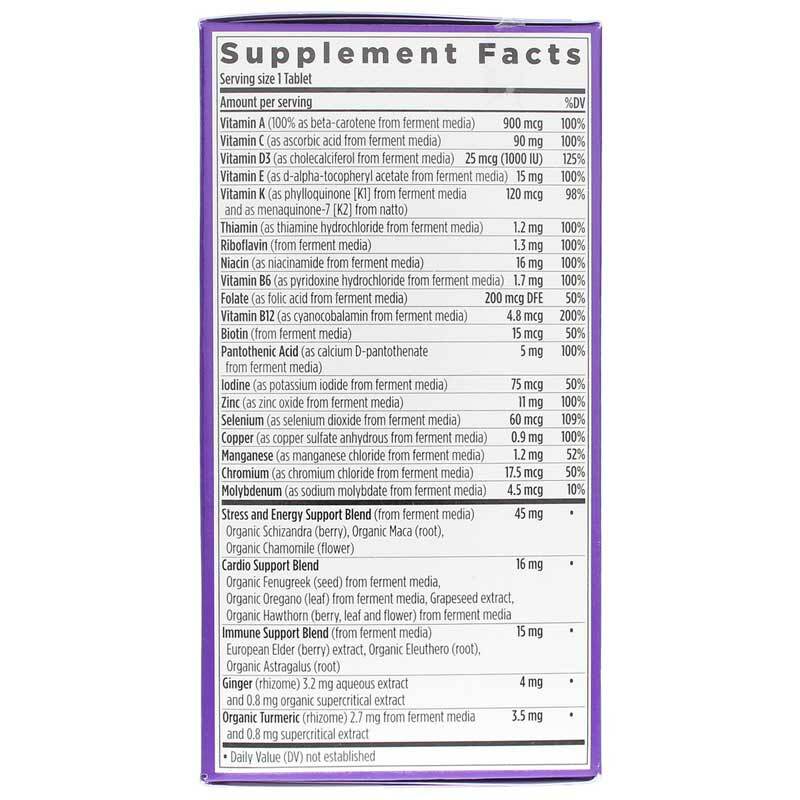 In addition, it supplies vitamins and herbs intended to support men's bone, heart and immune health while promoting energy levels and a healthy stress response. Use as a once-daily, whole-food cultured dietary multivitamin supplement for active men under the age of 40. Adults: Take one tablet daily, anytime. May be taken on an empty stomach. 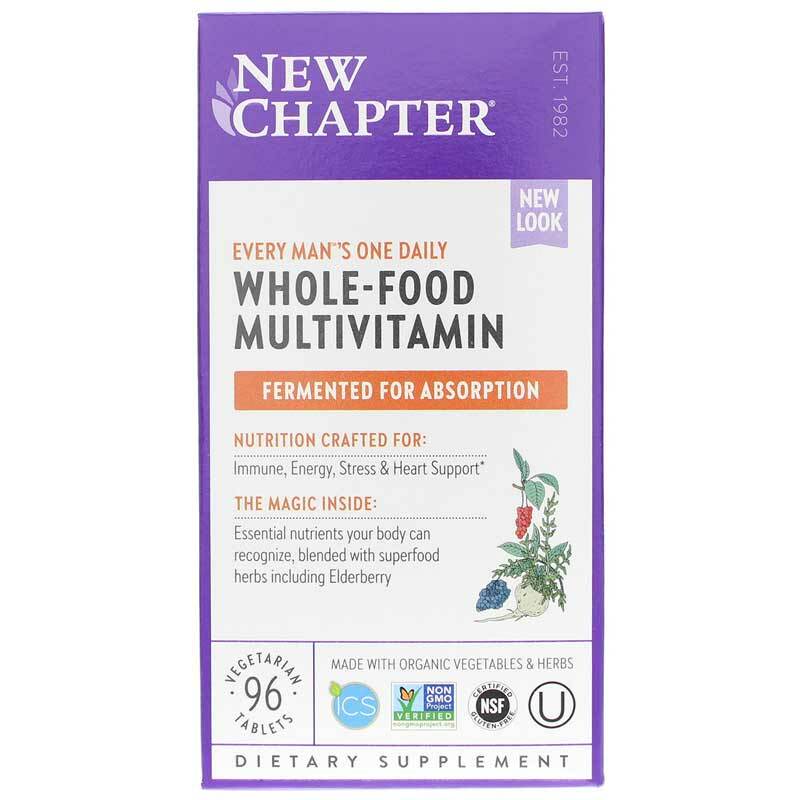 Every Mans One Daily Whole Food Multi, 72 Tablets, New Chapter is a great multi-vitamin that includes all of things sought in one pill. Great price from NHC also! Great vitamin! Easy on the stomach. No aftertaste. Much better absorption than my old vitamins. It took 3 or 4 days before I could really tell the difference.These have really helped with my energy and focus. You have got to try these!